How to Find a Niche for Your Blog - 3 Easy Ways. When you are looking to start a business online, one of the most difficult choices people have is choosing the starting point niche for their blog. A niche is the "topic" of your business. The reality is that there are MILLIONS of potential directions that you can head with your niche and within this post I am going to be walking you through the best ways to find a niche for your blog. Before I get into some really awesome niche finding techniques, I first want to help you understand the most common issues that people have when trying to come up with their "perfect" niche. There are three main issues newcomers to the affiliate marketing world have when they are attempting to come up with the niche, that is, the core "focus" of their business. I think to a certain degree EVERYONE goes through at least of one of the following when learning how to find a niche for their blogs. Too Many Interests. When someone asks you what are you interested in and you come up with a list of 10-20 things, then this is likely the conundrum you are facing when starting out. It is great to be able to choose a passion for your business, but what happens when you have many passions? The answer to this is to choose ONE, perhaps the one that interests you most. Your first niche does not need to be your last (and it probably won't be), so you will want to choose a starting point. Not Enough Interests. Don't have anything that you are really that interested in? That is fine. You don't have to be involved in a passion niche (IE, something you love to do), you can love the idea of building a business and the niche can be your "vehicle" to get there. Thus, anything could be your niche if you don't have any interests. Your interest could be building a business, helping others, and being successful within the online world. Too Broad of an Idea. A very common mistakes people make when choosing a niche is going too broad. We have to remember that there are close to 4 billion (yes, BILLION) people online, so choosing a broad niche will surely give you a massive audience to market to, but you are going to have a tough time becoming an authority in a broad niche. I see people choosing "travel" or "health" or "dieting" or "music", when the reality is that these are far too broad and there are literally 100's if not 1,000's of targeted niches within these much broad categories. Idea #1: Choose a Passion or Interest. What are you interested in? What hobby or passion gets you excited? The great part of choosing a passion or interest is that you are already actively engaged in that niche, you likely have stories and experiences to share, and you will thoroughly enjoy building a business within that niche. Success has a tendency to follow passion and you often times those business that become VERY successful are driven by passion. Creating a successful business is hard work and when you actually enjoy "going to work", it can absolutely have a positive impact on your journey and the speed at which you achieve success online. But you certainly do not have to choose a passion as a niche when you are staring a business. In fact, it doesn't even have to be something you know much about (right now). What is something that you have always wanted to learn about? What have you been perhaps scared to learn, for fear of not being the best? What do you want to educate yourself and become an expert within? This can be the starting point for your niche. You don't have to have requisite knowledge within a niche to be very successful within it. One example of this are some niches I have been involved in over the years. Several years back, I created a blog dedicated to helping people learn about and choose a voIP plan (voice over Internet Protocol), which at the time was very popular. It was an Internet over the phone service, that could help people reduce the costs of long distance calling and businesses create cost-efficient solutions for their call centers. I didn't know anything about this niche before I decided to get into it. But with some time, energy, and consistent education, I was able to offer an amazing experience for my website visitors and I was able to help A LOT of people within this space save on their conventional phone bill and become well versed in the information they needed to make an educated purchasing decision of a voIP plan. So, you can become an expert in any niche that you want, even if you don't have much experience in that niche. If you can speed up the research process for people (ie: do the work for them), you can create yourself a thriving authority website. Idea #3: The Random Research Approach. No ideas at all? Then you need to come up with a starting point for your research. Fortunately, there are a lot of awesome platforms that you can leverage out there to commence research and come up with good "niche" concepts. You can use these for the starting point for your business. Google. There is a well documented process that I leverage called the "Alphabet Soup Technique" and it works like a charm for coming up with niches if you have a broad or initial concept to put into your search. It is also an effective way to narrow down a niche that is too broad. Let's look at an example. Say I wanted to head in the "basketball" direction with my niche. Just an example, and something that I am interested in. I type basketball into Google. You can see I have been given several ideas already. Basketball Courts could be a niche, basketball hoops could be a niche, basketball shoes could be niche, basketball jerseys. I have 4-5 different niche ideas with one simple search. Say I didn't have any ideas at all. I can simply start typing letters in Google. Maybe start with a random letter, or you could start with A and work your way through the alphabet. If you want a full walk-through of the Alphabet Soup Technique, click here. Amazon. Amazon is the largest marketplace in the world with 100's of millions of products just a search away. They also have a very clean and useful "categorization" that you can leverage to come up with all sorts of niche topics and topics that you could then perform more research on to find even more ideas. If you go to Amazon.com, and go to the Departments tab on the homepage, you will get a list of all the categories. You can then "dig" down within any of these categories and get all sorts of ideas for niches. For example, I clicked on the "Baby" section and was given all sorts of ideas. I have 10+ niche ideas, that I could have then further narrowed down even further. Baby Travel Gear, could then be narrowed down by clicking it and you can see many more niches have been revealed. How to Websites. There are many websites out there that can give you some really good ideas, starting with "how to's". As an affiliate marketer you are in essence a problem solver. You have an audience that is seeking information or help about a specific topic/product/problem. If you can align this audience with a relevant product or solution, you are going to have a very successful journey ahead of you. One of the most popular "how to" websites is eHow.com and you can leverage this platform to uncover all sorts of ideas. If you go to eHow.com, and scroll through the homepage it is going to automatically load the latest "how to" or DIY walk-throughs. Here is an example of a group of 8 different ideas. From this alone, I have several niches. Cleaning Hacks, Hats or Hat organizers, Candle Making, Specialty Cupcakes, Chicken Recipes, Making Chocolates, and Earthquake Preparedness. If I were to scroll down more on that page I would have plenty of ideas and you can go along until you find a niche that clicks with you. Down the Road, You Can Work Within Many Niches. Before I wrap this up, I want to be clear on one thing and that is that you can absolutely be involved in many niches down the road. Your first niche does not need to be your last, and likely won't be. I personally have ventured into many niches, some passion driven, some interest driven, some randomly driven and was able to be successful within all of them. I definitely did experence fatigue within some over time, lost interest, or had to inject a new interest into a niche by switching things up a little, but that is the amazing part about the internet. It is vast, your audience and reach is 4 billion people, and regardless the direction(s) you head with your niche, you can be successful within that space. My recommendation is that in the early stages of your blogging life, you don't try to do too much at once. You want to focus on ONE niche and get the formula for success down within that before you diversify and get yourself involved in too many. I have always remained consistent when I say that it is best to be "great" at one thing than it is to be mediocre of average at many. It is the experts that reap all the rewards in the online world. June 2018 Was The Month of Research at Wealthy Affiliate! June 2018 was the Month of Research here at Wealthy Affiliate. This included over 7 hours of training covering a wide breadth of topics related to "research" in your business. This ranges from the initial niche resarch, right down to digging deep into your niche and understanding your customers. As a Premium member, you can access the replay and watch this past event as many times as you wish. These are going to really advanced your research skills, which are imperative to creating a long term and sustainable business. I can't help but notice the pattern I'm seeing with the advice to start out small with one niche. I completely understand the reason behind this and agree completely. I know a lot of us here are working adults with families and adding anything as life changing as starting an online business needs to be taken slowly, as not to overwhelm and completely discourage progress. Especially in today's world of anxiety running rampant, I think it's important for people to look at the "big picture" and come up with a strategy that is realistic and achievable. I believe you guys do a great job at conveying that message to your members. So thank you and keep up the great work. It's interesting you say this because I am doing affiliate marketing full time and still there doesn't seem to be enough time in the day! I am working on 2 websites at the same time. As we all know, t's not just a case of slapping a site up on Google and getting it to rank on page 1 hoping to make millions fast. We have to make sure our sites run seamlessly with all the links working, meta tags, and categories assigned to posts, email marketing, engagement on Social Media, PPC campaigns etc. Wow! Well put. Even expert climbers cannot scale the Matterhorn in one leap. Also, the higher the building desired, the deeper, wider and thicker the foundation needs to be: preaching to myself aloud in writing. Looks like I have begun! Thanks for the push! Being totally new to affiliate marketing (or anything online), I feel that I have chosen a niche that is very competitive and way too broad. I thought it would be easy since I have a lot of information on the subject but at same time felt I was wasting time. Thought about totally starting over, but after Kyle's post and realizing this may be my first niche, it won't be my last. So decided to continue on and complete training using this niche and keep my eyes open for a new niche that I can feel more comfortable with when I am no longer a "newbie." Training at WA is fantastic. I like to advice people and help them in every corner of their lives, and I want to believe that may be I could come up with something out of my day to day advice. Can that be a Niche? Updated for 2018: Choosing a Niche Keep in mind, you have to think of how to monetize the site as well. Nothing about what I am going to say will shake the ground. The reason I am posting this it kinda surprised me. I stopped at a computer repair shop to ask a question. me and said this to me. Why I do not know. She said a good niche for you could be pocket knifes for men. Never know how people will respond to any question. Yeah, that is a niche. I was actually watching a show last night on TLC (I think) that challenged people to make something out of a metal ball bearing, in this challenge they were creating knives. There is definitely a big audience and a big niche for that, pocket knives being a big facet of this broader niche. Kitchen knives, chef knives, multi-purpose knives...many different directions you could head here. I found I had WAY too many interests (and still do). Some people say they get bored in retirement. I had to look "bored" up in the dictionary. Focus is important when searching for a niche though and you have some great ideas. Not a surprise there......lol. Thank you for all your personal input and constant ideas regarding training and keeping WA up to date with all the latest and greatest. Haha, love that. I think I need to look 'bored' up as well, I am not sure how that even feels. Lots of ideas is a good thing, I think that most of us are in a surplus situation when it comes to ideas. The key is narrowing things down and coming up with ONE niche as the starting point. It is exciting to know that we can tackle many different niches down the road, it reveals truly how much opportunity is out there! Yeah, we all have bouts with the amount of time we can dedicate to our respective business ventures. Just aim to be productive during the time that you currently have, it is easy to waste away time. The thing is that nobody starts off as an expert at anything they do. If there is something that you want to learn NOW and that you have no expertise within, then you surely can become an expert with time and dedication. With the internet and the available resources/content out there, the period of time it takes to become an expert within a given niche can drastically be increased. Conventionally 10 years was the "expert" milestone, but I would argue with strength that an expert can be created within a few years or less within the online world. When I just started, my worse fear was choosing my niche because of not being able to find content for that niche. The first website I started, I put on hold for this same reason. I focused on the training and started another site using my passion as that niche was not short of finding content to write. I am hooked on Alphabet Soup. I can find anything I need using this method and it is very easy for me to use. This could not be any easier. Thanks for sharing this very informative training. This has helped me a lot. Passion is the secret. If you love what you do content flows easy, and research becomes fun instead of dry like writing a book report on a book you didn't like in school. I have found over the years that my passions, as well as life experiences, have lead me to more success than trying to write piecemeal about a wide range of subjects. I agree. You cannot go wrong with your passion. Here you can answer related questions and you can always find something to write about. I am going to share something here. That is extremely relevant to this post. At least for me. But first. Kyle thanks so much!!!. This post was extremely helpful. And that leads me into what I want to say. For years (and I do mean years) I have struggled trying to find something I could do online or offline (preferably online rather than offline). And I couldn't think of anything that would give me a fair amount of income based on whatever I was doing. Either I am too slow to produce the product/service in question or I don't have the start up cost. Or oh a number of reasons. My visual disability has never stopped me. But it sort of has made other people discourage me from trying to do what I wanted most of all. To make an income like anyone else. I joined WA several years back searching. But at the time it just was not able to continue for me. I came back again making a decision that I believe will change my life totally. And its all thanks to wealthy affiliate. What I learn hear can literally work with anything (as long as it fits my ethics/beliefs that is and I don't mind writing articles and whatever on the subject). I can essentially create a niche website on any topic and literally eventually anyway make an income from it. It still requires a lot of work on my part. 1. Researching the niche in question. 3. Making the website and writing an article or more on that said niche item. 4. So many things that I don't know yet. Anyway, it comes down to this. If you have struggled like me (whoever you may be). Know this. You can succeed online too if you follow the training here at WA. Of course. A lot of it is attitude. If you believe you won't succeed you won't. If you believe you wil. You have a much better motivater to do so. I hope my sharing this in response to this excellent post encourages other people that they can succeed. Even if they can't make a physical product or fulfill a certain service. Online niches are indeed a way to succeed. No. I am not making an income yet. But I will be as soon as I go through the training. I am not promoting here in any way shape or form. I am a member of another affiliate program that is free.. I am not mentioning which one it is. But I just want to say. WA is far far far better in so many regards. So thank you Kyle and Carson for creating WA. And thank you to all the trainers here. And all you bloggers that encourage me every day with your posts. Having too many interests is my problem when it comes down to niche websites and freelance writing. I like video games, books, writing, traveling, and more! I'll focus on one for now and see where it takes. After that, I can focus on the others! It is research time indeed as I have written mostly what I understand from experience and books by nutritionists, etc. There is still room for more research and discovery of what more I can write on..
Hey Kyle, thanks for the well-timed post. In my experience on the Internet, I've always been interested in making money online. Always and forever, as they say. Truth is, all aspects of retail puts me to sleep so I stay away from selling products online. On the other hand, offering help to those interested in learning how to monetize their experience and knowledge is a whole different thing. That's why it didn't take me long to figure out what my "first" niche would be. Making money online is definitely where I'm at right now. That said, all of my focus is right here, promoting WA. I do see another website in my near future, however. I'm following your advice about becoming an expert in my niche, and when I feel comfortable enough to venture into another area, that's where I'll be. Thanks all for reading this. Have the best day ever! Besides, I'm newbie and I'm walking through those as Kyle mentioned above...I did have struggles with finding niche...I was focused on the "perfect first niche" before, and thank you all seniors members who helped me to realized it. And based on Kyle presented, for me, I will stick on the method one and second which are passion/interest and something I want to learn about. However, it seems like with the third method, the random one, would have faster results and visual profits than other two methods. Jay's website football helmet snack is one evidence for the third method. Thanks for sharing Kyle. I can relate to problem number 2 which was not having enough interests. So I chose something that every woman is somewhat interested in, ladies fashion and shoes, and although it is very broad and not something that I'm an expert at, I've used it to go through the training with, and I'm happy with the results. I definitely will add another website with a different niche later on, based on something that I'm more passionate about and that I can relate to better. It's a health issue and I hope to be able to help other people who also suffer from this issue. Thanks again for the great training. The niche topic of my blog may seem broad at first being that I have focused early post on marketing channels affiliates need for success but as we boil down the training and steps to be a top 3 percent affiliate I will have a system of case studies for affiliate marketing complete with limited case studies. My core product offerings are the training at Wealthy Affiliate and the power research tool at Jaaxy but will also encompass numerous training and tools to help affiliates develop their niche, become experts, outsource and scale up. A niche is what you make of it. I plan to build something spectacular based on more than 15 years of experience. I am presently working with 1 niche, but it took a while for me to really get down to the essence of what I wanted to do. I originally wanted to explore back pain relief and that was okay as I had a passion to find out more about the topic because I'm a caregiver for a mom who suffers from back pain. However, I never answered the question in my own mind of "who is reading my posts?" and " what do I expect them to do with the information?" I thought I had, but I hadn't. As a result I think I lost focus even though I received very positive feedback on the quality of the posts themselves. I regained focus in recent months when I finally answered in my own mind that the people reading the posts my not necessarily be people who are looking for solutions for their own back problems--they are young and think they can tough it out. However, they don't have the same view when it comes to their elderly parents or loved ones. Thus they would find any information that would help mom and dad manage back pain-- and related to that fall prevention -- useful. So the people that I expect to read my posts are those that would appreciate tips on managing their back pain but even more so that of their mom and dad. One can't speak about elderly back pain without addressing the issue of fall prevention. The reason is because balance issues and back pain in the elderly are often connected. My focus then is giving tips and solutions on preventing falls in the elderly as a result of balance issues caused by back pain. What I expect people to do with my information is to become more knowledgeable as to how to take actionable steps to prevent their mom or dad from falling. Of course I expect that along the way they may take some tips on how to prevent their own back pain problems. Sorry for the long answer but I wanted to give you an idea of how I have and I'm still evolving when it come to nailing down my niche. Not done...still working at it. Getting close. Sometimes you have to build a niche for a while to get suppliers knocking down your door. In the meantime, you can monetize with related products from Amazon and Google Adsense until the advertiser base broadens. Soon you will find your authority status and then people will be knocking down your door with promotion request. Yuma bloggers thank you for your response! I need to research adsense to see how my budget can make it work. I've been nervous about Amazon because I thought if you don't sell by a certain time they take that opportunity away from you? Thank you for following too! No Amazon doesn't have a time constraint that I know of my account was inactive for over 7 years with no penalty. As to Adsense I think you are thinking Adwords for advertising your blog. Adsense is the publisher program for Adwords that pays you to show ads on your site. Revenue is small compared to what you make as an affiliate but can still get high enough to pay for your WA Membership each month. Great post on the basics, Kyle! I struggled a lot in the beginning - trying to find the perfect niche - one that was rich with "low hanging fruit" keywords that would zap me onto page 1 Google ranking quickly. But, I decided to go with my passion - gardening - which is a humongous niche with gargantuan competition. Of course, I verify rankings using an incognito browser. I know that I could have drilled my niche down to a more restrictive subject - like, maybe, "all things fertilizer" - but, I not only wanted to talk about "everything gardening" - I wanted to take on gardening topics that increased my own knowledge and expertise through in-depth research. And, I've learned a great deal - which has made me even more passionate about my "growing veggies" niche. Thus, I'll keep banging away - adding relevant posts about new gardening techniques, different things to grow, and reviews of everything from fertilizers to hand tools to outdoor power equipment. And, someday soon - I know in my heart - that I will be viewed as a "Master Gardener" by website visitors - and, Google, too! I currently am working with 1 niche, it was an idea I have been thinking of for sometime, in fact it pertains to me personally. goldenbabyboomers.com the idea of the site is for people in my age category getting ready to retire, unable to continue to work (because of health issues), being phased out a work ect. and not having a viable pension to fall back on. This is the conundrum I am facing, I have severe arthritis and a very physical job, I am at the point that I am still a little too young to retire, not to mention I do not have a pension plan besides the standard government one, so I am at the point of "now what?". I think there are probably many like out there and so this is the first niche I chose to work with. My biggest problem is committing to writing content, and I think this is because my passion is else where. I felt this was important to start with because I wanted to go the route of promoting Wealthy Affiliate first and get a stream of income, then dive into my true passion of photography. I am really happy that the month of June is committed to Research, it is an area that I also need more practise in, so this is great. I missed the first week but plan to go back and review it. Tonights training on Keyword Research was a good refresher. Thanks for continuing to help each and every member becoming successful in there journey. I.am. a member of the Community of WealthyAffitiate an I. Together to be as one. We will go out of our way to help others. Personal to be singled out for you are not . When you become a member your part of a Family Community. You joyen just like we all do. On you Juniory here . We are here to a sure you succeed. Are able to achieve our Goals an Dreams. I am just checking this out on the free membership for now. At first when I ran across this site, i was very excited because I was really interested in AWOL until I read all the extra money needed for all the other programs, plus they were very pushy like sleezy salesmen. BIG TURNOFF> I have been researching your site near all day. The one big negative I have read is that this site wants you to promote WA and be an affiliate for them. I have read a lot of posts of ppl that are involved in this but act as an affiliate for this. I really just want a genuine program that will teach me how to build my sites and set up affiliate accounts and how be successful as an affiliate marketer. I don't mind paying for the subscription but i just need some assurance from your group.. any advise? I suggest if you are the fence due to that you dig deeper. you CAN promote WA but you do not have to ..its mentioned in the training once when they present it as a option if you can not think of a niche but if you have anything at all you are interested you have a niche. so many people get stuck there though and because you are here you know about work at home products, scams and issues you encountered along the way ...which gives you the experience to promote WA if you want ...I do not at this point but I have been through all the training twice now and I am building fast. I will begin to promote Wa in the future , but for now I am building my niche and have at least 4 other ideas lined up. Oh,the only true thing that made me hesitate of WA ? your site will be hosted by them so if you leave after you build it you have a limited time to get transferred or lose it...I plan on hosting at least 6 sites over the next 3-4 years though and i think if you do the research on how much hosting, email, site security and seo is through another platform ( and even more so after the first year) than compare the 12 .coms you can host here with all of the above included in your monthly fee you will be pleasantly surprised ...add in the training and jays weekly webinars plus a community willing and ready to help and its simply a no brainer...if you willing to put the work in without payment while you build. You have come to the right place! I’m new here but have been involved in other internet marketing ventures. None of those had the depth of training and mentorship that I have experienced here at WA. Jump in and trust the system! You won’t regret it! WA offers an affiliate bootcamp for those who wish to promote WA for profits but the core of the program teaches you how to market any product at any time using Niche marketing so all those who filled your ears and mind with that lie need to wake up and get real because it couldn't be further from the truth. Wealthy Affiliate is proud to accept those who promote WA but above all they grow through the success and word of mouth of every affiliate. Hi MPaul 1, one aspect is to promote Wealthy Affiliate but that is not the only thing, if you look at the training tab to the left you will see that there are 2 different types of training available, the first is "Online Entrepreneur Certification" which teaches affiliate marketing for those that want to promote for example products from Amazon, then the second training is "Affiliate Bootcamp" which is designed to teach those interested in promoting Wealthy Affiliate. The choice is totally up to you, for example I chose to do both course because I found I learned things from both that I can put into practise. When I first thought of joining I kept my eyes and ears to the ground waiting for Wealthy Affiliate to be a big scam, but I never found that. Instead, I found a community of like minded people that help each other. Here at WA they promote a "Pay It Forward" community and it truly is that. Members are always willing to help and share their experiences with each other. I have learned so much from the WA platform of training but also from the members. I did a lot of research before choosing to try a free membership here at WA, and eventually I did try and also moved to become a premium member. I have been here since November 2017 and have not regretted it. The one thing that convinced me that it was a good platform is and article I read, I think written by Kyle, and the point that he made quite clear was this is not a "get rich quick" venture that it takes a lot of work to be successful. This impressed me because I had looked into other platforms that promised the world to me. Another strong pint in my decision was the 25 sites that I could build here. I probably never will have 25 sites but I know that I have a lot of options when it comes to hosting multiple sites. I look forward to you becoming a member and if you do choose this option please follow me and I will do the same so that we can help each other in our journeys. Thanks Mary, Can I ask how successful you have been? I know this process is not a short one and there is much to learn,, but after putting in almost a year I would want to have some income flow. MPaul1 I have not started earning yet, but that is my fault, I don't want you to make a decision based on my lack of earnings. I have put a lot of time into the training, which I don't regret, that was my main goal right from the beginning was to be very knowledgable so that when I had more time (retirement) I would be ready to dive in fully. Where I am failing is I let life get ahead of me and I get away from WA work, mainly I am not writing enough content to get better ranking and more traffic. You can have a look at my website it is www.goldenbabyboomers.com When I joined I knew that earning might take me longer because of my busy schedule, but I decided to join and at least learn and get something started, so that when I am ready to retire in a couple more years I will have a strong foundation to really put the axe to the grind. I still work full-time and care for my elderly mother, I knew time would be a factor, but I need to start with better time management to make things happen. I am just recovering from having my knee replace and just started putting some time into writing while I am off, I hope that this will get me moving forward. I understand Mary . I too still work full time at a very demanding job. A very helpful post on quite a tricky issue, Kyle. When you start off, it's extremely hard to know what size of niche is right. I have the impression that sometimes starters go for a niche as well that is too restricted as they are not aware that it's not just a couple of posts they are going to write in that niche, but 50+. So your tips will help a lot to find the right approach. Thanks Kyle for this excelent information I want this so very much. The thing with me is that I'm afraid of failing. Plus I don't know where to start. So I guess I'll just have to keep watching the videos,and reading each and every lesson. Like I just did. Thanks again. Hi I'd like to share with you the subject of fear I have felt that quit often but I decided to just make my mind up to not think about it at all and look at it as though it were a great adventure and just have fun it helps you to be creative I hope this helps you good luck! Experts say a fear of failure is the logical explanation for a fear of success. We try to rationalize being afraid and it makes more sense to fear trying new things than to fear to find success that when all failure does is starts you back at square one you have nothing to lose so you must instead fear the unknown which is you after success. that is so weird that you both have the same post,,, How did that happen? Jesus20 had to copy this earlier post which is unethical to say the least. Hi Kyle, i entered a hobby niche of mine and found it extremely competitive and flooded with competition which was disheartening.. So do I continue with the board niche or take a break and start a narrower more managable niche - any thoughts yourself??? Hey its ok my name is Leah I hope i can help. First if you can maybe a break for a bit is one way you should start. Then after your creativity has rested its head. What i would do if you have access to two computers or a two laptops or the computer you work on and a tablet anything you can access and watch the lessons on will work. After you rest take a look at all you have accomplished and give yourself a huge pat on the back. I have recently learned that there are two kinds of people. The ones that surf and buy on the web then there is us. The ones that put stuff that stuff on the web you my friend are one of us and that is saying tons. So dont worry we will all help you ok. Now if you havent tried watching on a seperate computer while your working on it try it ok if your like me its the next best thing next to someone sitting with me. I hope this helps you in some way. If not I know that kyle or one of them can ok. My best wishes friend. I think I picked a too broad of a niche could use some help on how to narrow the niche down and use keyword research tools effectively. In spite of that problem, I am going to stick with my niche and continue on with the training before going off and starting a new site. Don't give in. Instead of thinking about how hard it is, think about how amazing you are to be learning something new that very few people have the courage to try. It is taking me two days just to get my first blog post finished and posted. Get clear on what you want to accomplish, decide not to quit until it is finished and then enjoy the experience. Best wishes to you. My idea is definitely broad, very broad. But it is new. I can't find anything like it out there. I have a lot of brain power I need to use, as I have been stuck in a job where I don't need it for 7 years now. I need to excite people, I need to draw them in. I need a big focus. I know I can do this. No one ever did anything great by quitting. I guess I may be a bit scared, but I want to try. Most asked question by my Referrals, Kyle, thanks. Now I can send them to this page. Always wanted to learn how to make money online, and build an authority website that people can refer to, hence the reason for coming up with my first passion for a niche. You hit the nail on the head with this one. Finding my niche was really easy... I think about it when I'm lying in bed...lol. When I wake up, even driving to my bookcamp (oops, yes, I know... I should be paying more attention to my driving). I talk about it pretty much every day to people who cross my path. Just yesterday, I mentioned my dive site to my bank teller... now she is 'sort of' interested in what I do and where I get my training from. I couldn't stop talking about my sales from my dive site. The ocean and diving is constantly on my mind. All the beautiful sea creatures and the peace... ummm yes! My other niche is the Wealthy Affiliate promotion. I had no trouble deciding this was another niche I enjoy because there are many people who are always in need of money and want freedom. I can help them. But...I am struggling with it at the moment (would love to find someone who can 'twist' my brain so I can be more organized) ....and so I have returned to my dive site. There is another niche which I would love to do eventually and it will require much knowledge. I don't actually love the taste but people love it and this will allow me more traveling which I can still 'stick' my diving in somewhere. I'll make it work. This covers the #1 and #2. I haven't done the #3 - Random Research. If you want a "brain twister" Monica, read my "short" comment! The "short" one was on the other thread! Just answered it! I know...I responded there too. Great post Kyle, and just in time as this is something that I am currently grappling with. And certainly the longest comment I've made in a long. long time - so my apologies. 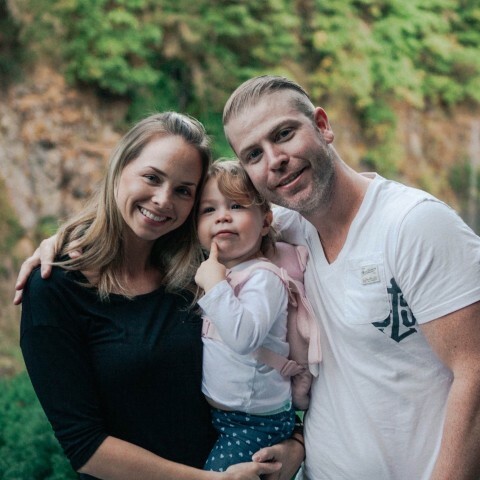 Kyle, the challenge I am currently having is not about finding my passionate niche - I already KNOW what that is - but a niche that I am BOTH passionate about that will also allow me to write product/ service reviews that will have a GREATER POTENTIAL IMPACT to drive premium referrals to WA. For as much as I enjoy writing, I am finding that I am "dreading" the thought of having to do extensive keyword search (and product review searches) to write about product/ service reviews that do not interest me. Yet some of those niches that I have ZERO interest to write about are the ones that offer a DISTINCT ADVANTAGE (I don't believe anyone could deny this) toward creating WA premium membership signups. 1) Researching and writing compelling blog posts on your website (or landing page) containing product/ service reviews of competing products and services to WA. 3) Including a strong CTA at the end of your product review article, to hopefully get an interested reader to signup for the FREE WA membership. Such a strong and unique CTA might also include a content give-away, and if properly set up through an email marketing service or an e-commerce platform, i.e., AWeber, Mailchimp, Shopify, etc., all clicks will build your email list. This is GREAT if you have a GENUINE interest in writing MMO product/ service reviews, but what if you ABSOLUTELY LOATHE the thought of writing these MMO reviews? What if you absolutely hate this niche? Or any other niche that has a " DISTINCT ADVANTAGE" over a niche that encompasses one's true passion? Let's say my true passion niche was writing about "fly fishing", and I was an EXPERT and was SO EXCITED I could easily write 5 compelling posts per week of 1500+ words per post on this topic. How would I "bridge" my enthusiastic readers from "fly fishing" (WITHOUT promoting affiliate marketing products) to signing up to a WA premium membership? Perhaps I could sell them on the romance of the digital nomad "lifestyle" of the independent entrepreneur, and how this will help them to "break away" from their dreaded 9-5 JOB that takes precious time away from their true passion ("fly fishing")....YES this would be certainly be a GOOD reason to join WA as a premium member ....but THIS is a much harder sell than the MMO example. There are more steps getting them from their passion for "fly fishing" to gaining their interest to be a WA premium member. Where as with the MMO enthusiast, they are already a PRE-QUALIFIED recipient who is searching for a better way, well to MMO!! Bottom Line: With niches members are most passionate for, aligning those interests of your passionate readers requires thinking of a creative solution leading to a greater "leap of faith" (then other niches such as MMO) in order to get them to sign up first for a FREE membership - and even more challenging later converting them into a WA premium referral. What are your insights here, Kyle? How can I both write in my passionate niche while still giving my reader's "low hanging fruit" to signup to WA? This is exactly what I'm trying to figure out! Great question!! Yeah, thanks Joshua. I just posted this same question on the forum. Go ahead and chime in your thoughts, we'd appreciate it!! How do you reconcile disparate niches to signup with wa? Wealthy Affiliate is getting better and better. I love that June is the month of research. It is a great opportunity to buckle down on research and share tips and tricks! In fact, I hope that some of the more experienced members share some of their insight into research (maybe I'll blog about it too). My niche is an outgrowth of a life-long interest in constructing a life with meaning and mana. I'm still exploring what that means and am sharing my thoughts (and the interesting thoughts of other people who have different takes on the thing). It is a broad sort of niche, I suppose, but then it is endlessly interesting for me (and I hope for others as well). Who doesn't want to feel that they are living a meaningful life? Kyle, thanks for your discussion. Do newcomers say that there is too much to learn how to build a successful business.for me, It is like reading a big book with many chapters. I have intention to read the whole book first then implement the steps in chapter 1 after only reading the whole book and tick off one thing. My sponsor said to do the training slowly and implement daily as you go on. Step by step. Read chapter 1. Implement chapter 1 steps. Then read chapter 2 , rinse and repeat until the end of the book.Also, I have a fear of failure on my first niche. I know it takes one niche to have the opportunity to be successful. How many niches does it take to find the first successful niche.I am afraid that my first niche will fail. Hence I am not moving forward. I want the niche to be successful. Am I just applying too much pressure on myself . If I fail my first niche therefore I would be a failure for ever. It is black/white thinking.thanks for your time in composing a difficult subject for me which is finding a niche. I enjoyed jays video training on finding a great niche. I recommend reading a chapter, doing. Learning, making mistakes, building. Then read another chapter, and take action. If you try to read too much at once and then apply everything that you have learned, you are going to forget lots and the bigger picture often times misses out on the much smaller failures and successes which are critical. Your first niche will not fail if the primary purposes of your first niche site are to learn, practice and learn how to do this. Yes, you will make so called "mistakes", however you need to learn from those so called "mistakes". I could say that my websites, especially my niche "learning and practice" site (my stress management site), are improving on a weekly basis based on my primary goals. That site is under a year old. I have learned and implemented countless web related stuff, changed things often, and have good quality content. I have ideas about where my site will go in the next while and will most likely be implementing those ideas in the next while. It will be interesting to see where this site is another year from now as I plan on continuing this process here at WA. However I will most likely spend time on it or doing WA related tasks most days. Great blog Kyle- when I started my niche website about Dads, I sometimes felt that I painted myself into a corner. However thanks to your Alphabet Soup Technique video. If your brand is geared towards "dads" in general, this is of course too broad as a whole, but you could start to piece of segments of this niche. Start with an "aspect" of dads that you want to help out, then through time you can diversify into different facets of this niche. That is the approach I would recommend you take here. There is a problem in going narrow, at some point, there is no stuff to write about and I mean this literally. Have experienced this in a very successful site. So I had to make it broader twice so far, and it is not good, the two new sub-niches do not fit well under the url and the site title. I know I can change the title but would rather keep it the same as the url. Eventually, at least one of the added sub-niches will bring extra authority as I keep adding new material so it will not be bad, I have extended the site's life. On the other hand, in my first site ever I went too broad. So I simply cannot cover everything I want. But I can still choose what I want to write about, and this looks better than expanding the initially too-narrow niche. But narrow niche sites convert much better. This is about the audience that is looking for specific stuff and is interested and ready to buy. Yes I agree Jovo, the broader niche is better. I guess it is all about choosing the url properly so that it allows for expanding the site later in several directions. It also becomes a bit boring if it is a narrow niche, the items look similar, the descriptions must be similar etc. Broad brand, keep the niche specific. That will give you flexibility down the road to diversify. This really comes down to naming your website and it is people that have the tendency to chase "keyword rich" (ie, exact match domains) that end up cornering themselves eventually as they are not creating a brand, they are creating mini niche websites. There is nothing wrong with that at all, but typically this strategy invites the idea of creating many different smaller websites and managing them all in unison. Yes, that was my mistake, wanted the keyword in the url at any cost. A big mistake. Yes Jovo, I've also been told authority sites hardly ever have the keyword in the URL. It was an experiment two years ago. Wanted a micro niche site to build and let it go without adding anything (in fact I built two of them). There are such sites, I did a thorough research before doing this. Most of them just die out, but some continue growing even without any new stuff being added for a couple of years. Then I changed the mind and added a sub-niche and it became very successful but it could not continue, no stuff to add. Then added yet another sub-niche, so it works, brings 4-digit income, but the url remains a permanent issue. It was just a starting mistake which cannot be rectified. Great discussion Kyle. I have been struggling in this area for quite some time now. This is really a good perspective. I created a niche site some time ago with the intent of not being too broad. But, I believe now that it may be too narrow and I have quite a bit of content on the site but have neglected it because of the narrowness. Some folks believe it may be too narrow now. Would you be willing to take a look at it and give me some refreshing new perspective as to what to do with this niche site. It would be very helpful, because I don't want to just abandon it. Please let me know how I can proceed with getting your advice on it. Through pm or here. Thanks and look forward to your response. It is tough to be too narrow. Look at Jay's snack helmets website, it is a nice little revenue generator and has been for years now. If he decided to scale that a cross promote other products/services, he certainly could as well. And when you want, you can move on and start another website up and have multiple websites up and running and generating revenue. Thanks Kyle, I think I will start adding new content to that site.